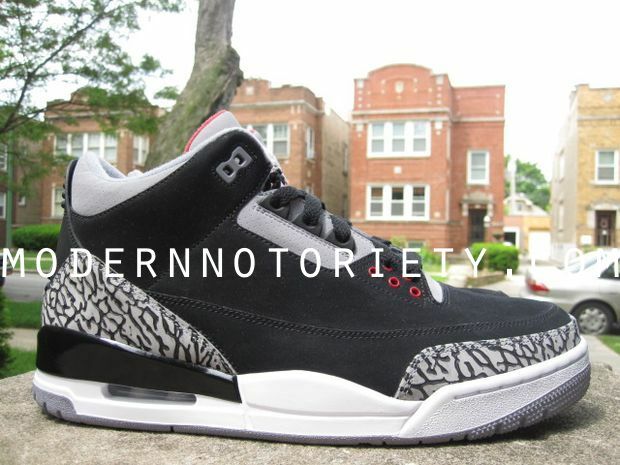 A detailed look at a nubuck-based sample version of the upcoming "Black Cement" Air Jordan Retro 3. 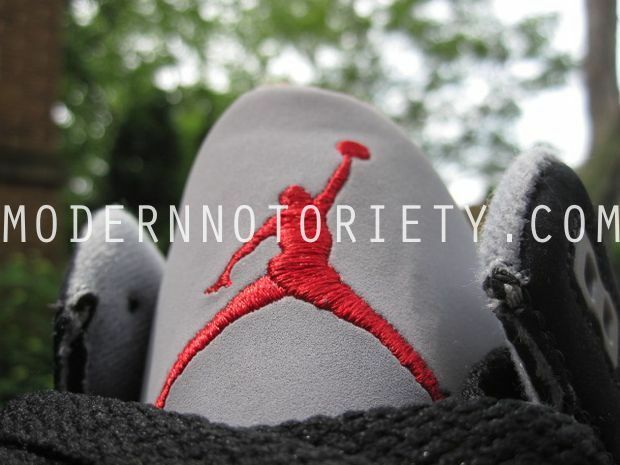 Over the past couple days, images of Jordan Brand samples have surfaced online giving us a pre-production look at some of the most anticipated upcoming releases. 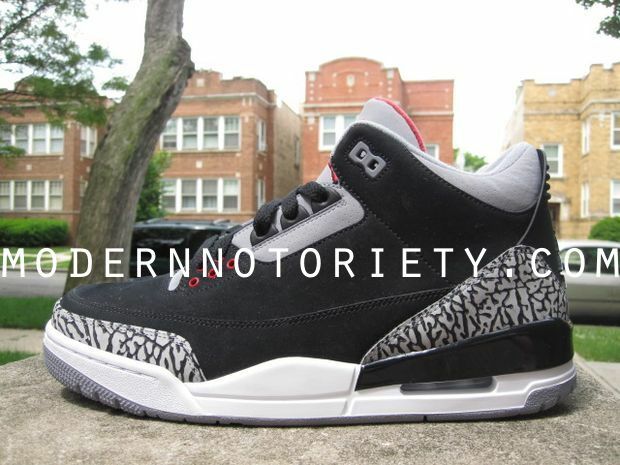 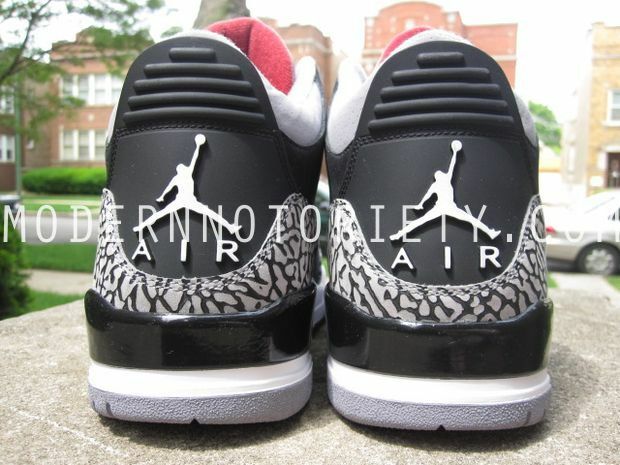 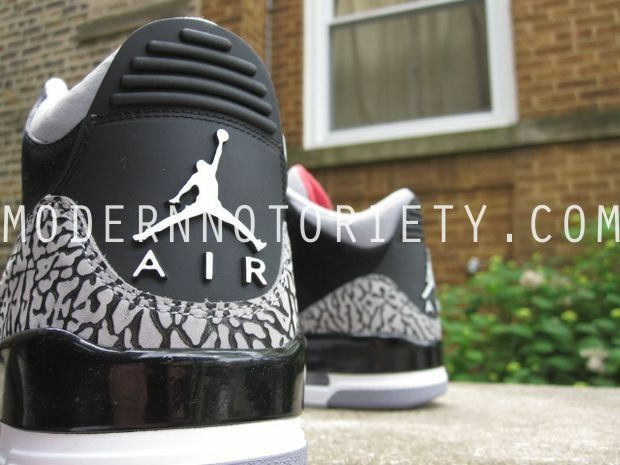 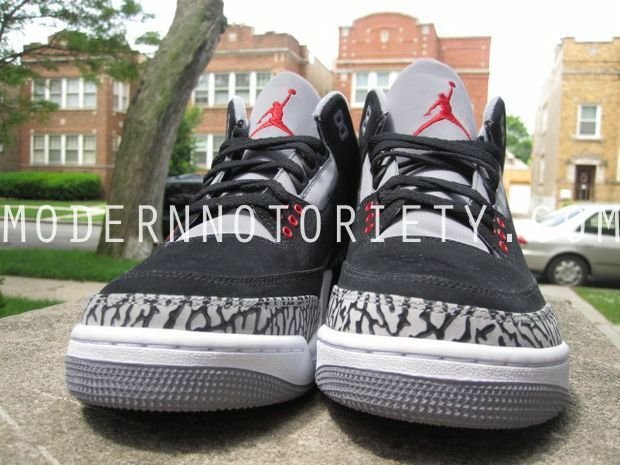 One of those releases is the "Black Cement" Air Jordan Retro 3, which is set to return this holiday season. 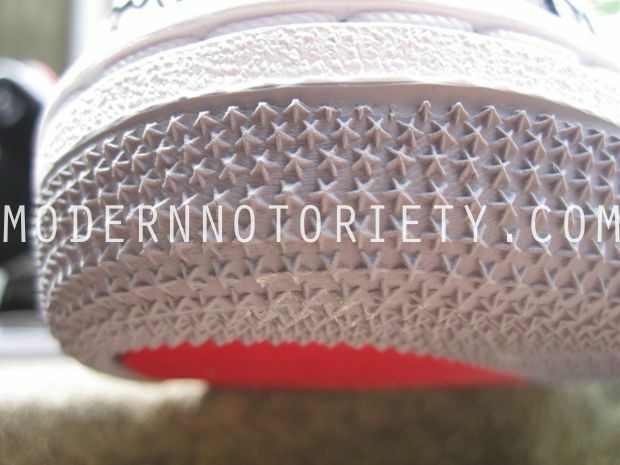 While there's a considerable amount of excitement surrounding the shoe's return, sample photos have leaked of the upcoming release sporting a significant change - a nubuck-based upper. 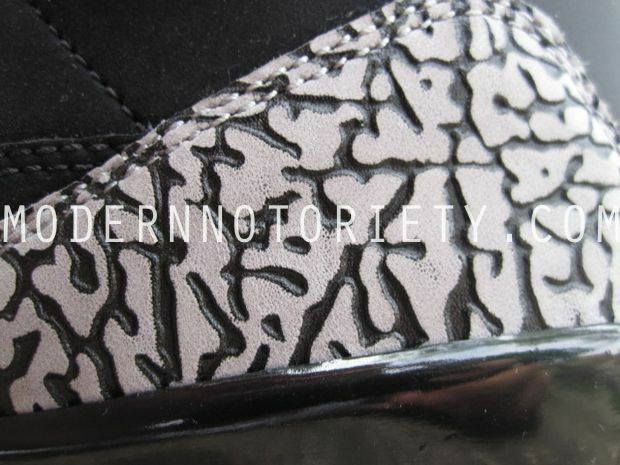 Cement grey elephant print overlays wrap the toe and heel of the shoe, while grey nubuck replaces the expected leather on the tongue and collar. 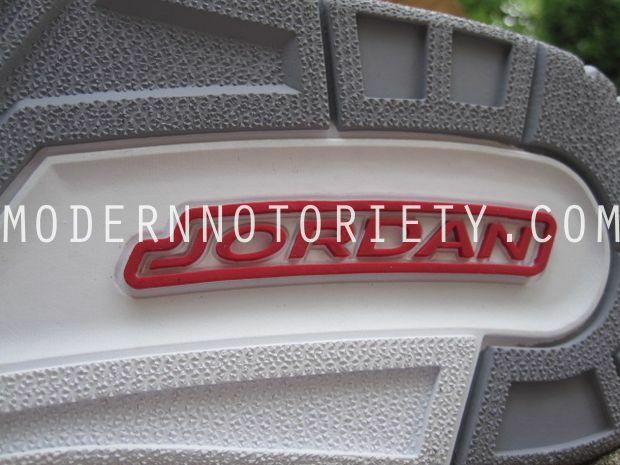 Varsity Red works Jumpman embroidery on the tongue, lower lace eyelets and the inner liner, while the heel Jumpman and midsole are done in white. 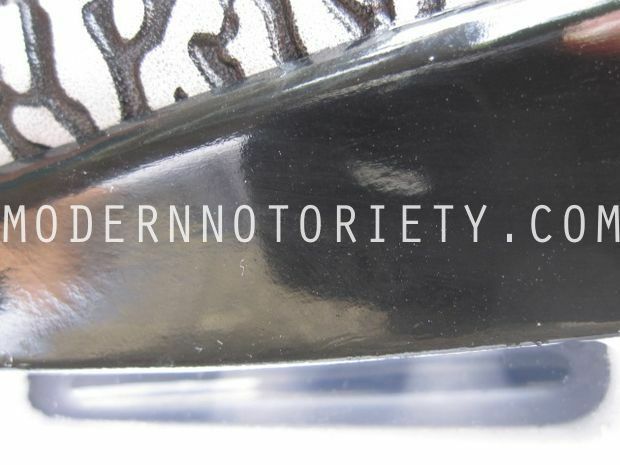 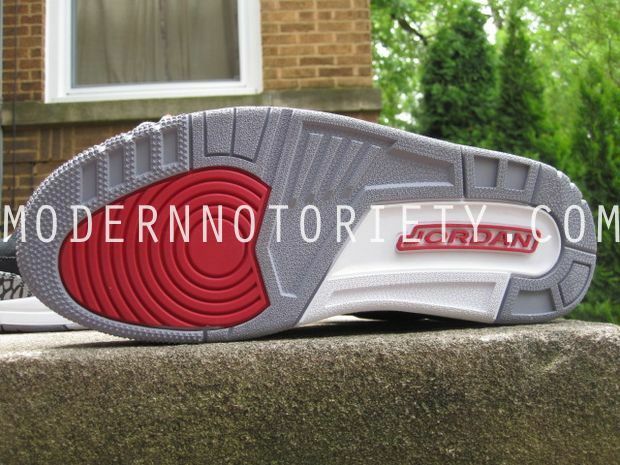 Finishing off the look below is a grey rubber outsole. 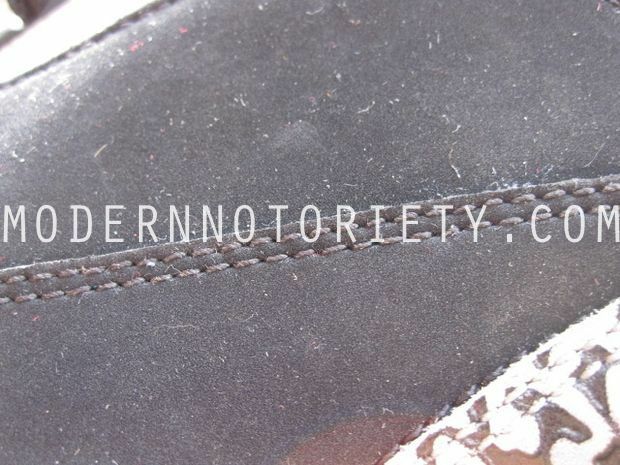 As things stand now, this is just a pre-production sample and we may see the "Black Cements" return with the standard tumbled leather uppers. 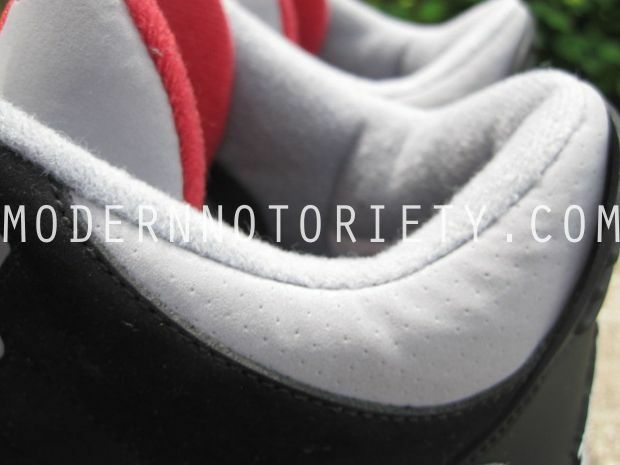 If things change, and that's always a possibility with the Jordan Brand, we'll alert you here at Sole Collector.